Doug's shirt features the Bearalope from Dunk the Comic Creator, a comic-within-a-comic created by former LucasArts and Telltale artist, Graham Annable, that is available as a webcomic on Teltlale's website. 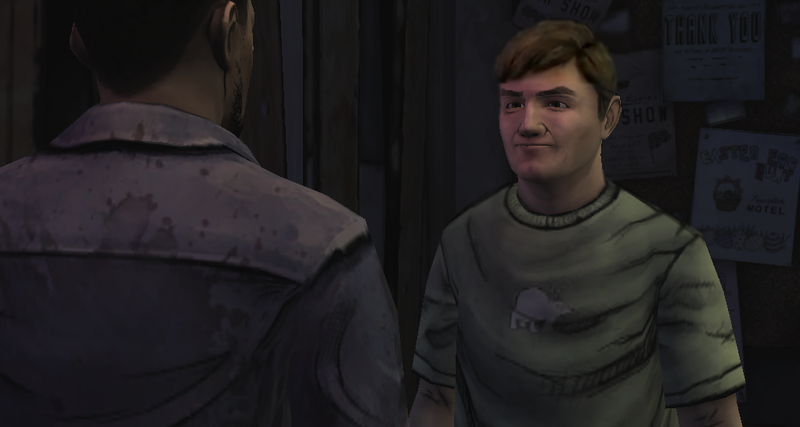 Also, the character of Doug is based on Doug Tabacco, former information technology technician at Telltale. The joke continues with the flyers behind Doug, that refer to Doug's presence in the game. One of the flyers reads "The IT Guy" and the other reads "Easter Egg Hunt".